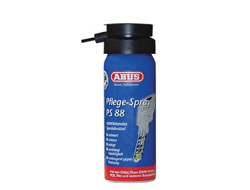 With nothing else on the market that is good enough ABUS have developed a lubricant spray especially for padlocks and door locks. It succeeds where WD40 or normal lubricating oil fails. 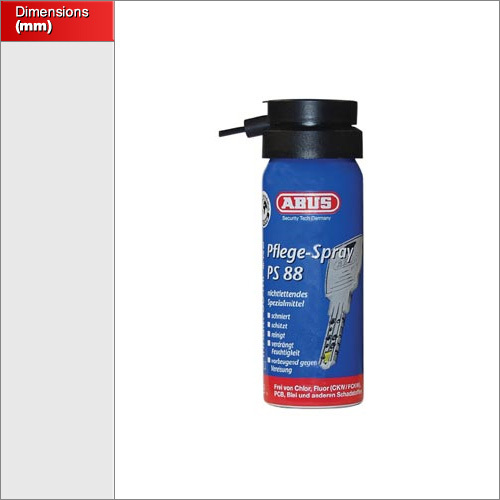 This product will help protect against the weather & corrosion, lubricate the mechanism, protect against frost and ice, eliminate squeaking and as a contact spray for electric and electronic applications. Especailly developed for locks and padlocks to be non-greasy and free from contaminants such as chlorine, fluorine (CKW/FCKW), PCB and lead.